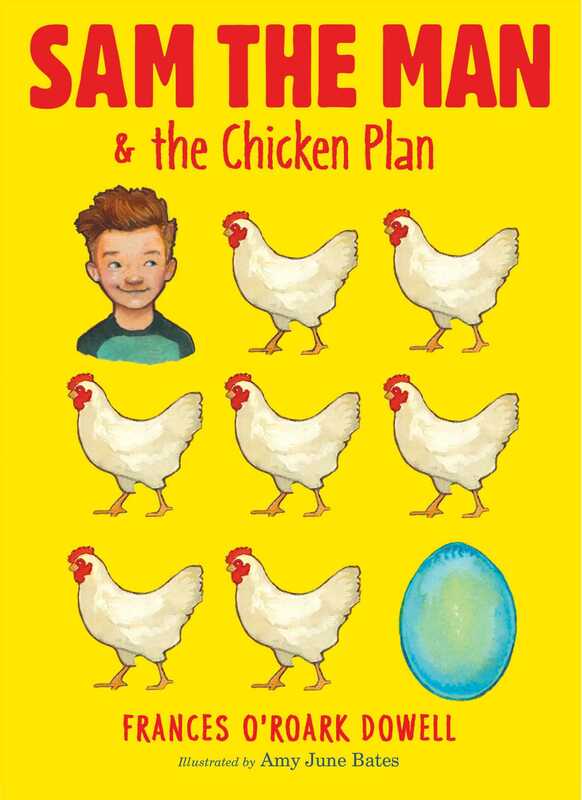 Sam the Man wants to earn some money and he’s got a cluck-worthy plan in this endearing chapter book that’s the first in a new series from Frances O’Roark Dowell. Sam the Man needs a job. His sister gets twenty bucks a pop for mowing people’s lawns. But seven-year-olds aren’t allowed to mow lawns, so Sam decides to ask his next door neighbor if she needs help doing other chores. It turns out she’ll pay him a whole dollar each time he can convince her dad, Mr. Stockfish, to join him for a daily walk. But it turns out that getting Mr. Stockfish to leave the living room isn’t easy. AND a dollar a pop isn’t going to cut it. So when Mrs. Kerner, another neighbor, asks if Sam would like to watch her chickens, Sam jumps on the task. Watching chickens is more fun than he expects, and comes with an added bonus: it turns out that visiting the chickens is the one thing that can coax Mr. Stockfish out of the house. But what does a seven-year-old do with all the money he’s earning? It’s not enough for a bike, and too much for candy. But wait! It’s just enough for a chicken of his own—the kind that lays BLUE eggs! Soon he has a whole waiting list of kids who want to buy a blue egg. And what does Sam plan on doing with his new fortune? Buy Mr. Stockfish his own chicken, of course!